Capitalists@Work: Fox will go Tuesday, then who and then what? Fox will go Tuesday, then who and then what? Tory Leadership elections are quite something. Labour really could learn a lot from their opponents..as could UKIP! By teatime tomorrow the Tory field will be down to 4 already, May, Leadsom, Crab and Gove. Given that Crabb is not really in it the race at all, then it is the 3. By Tuesday next week then we will have the final two and the vote for the party will be being arranged. I find it hard to see beyond Teresa May who personally I would not go for. After the Brexit vote, strong Brexit leadership is called for. If we want a remainiac, we could have just stuck with Cameron. Still, I don't get a vote these days so my tuppence is not worth even that. 1) Will the markets and Sterling settle down at last? 2) Will all the deals and IPO's put on hold start to come back at all? 3) Will big ticket retail spending come back? I certainly don't expect all 3 to happen, but the latter could turn around quite quickly and the first of those should be the case. They key is point 2 - that alone is a big weakening of the economy and it has to be reasoned that the suspensions will continue as it is the middle of the summer anyway and decision-makers who are not already on Ramadan will be off to St Kitts anyway in a few days. As Peter Hitchens says - a lot of things will be blamed on the Brexit opinion poll, which is all it is at the moment. All treaties are still in place. May will not lead us out, she will lead us along. Much is being said about the 1972 EC Act blocking the invocation of art 50 but someome mentions elsewhere that the Referendum Act gives the Parliamentary authority, if it was needed. I'm sure Scotland would have left the UK if she had voted for independence. We can break up our own country - but we cannot leave the EU, it seems. But immigration makes GDP, bank lending, rents and house prices all go up. Why would an establishment Tory like May want to reduce immigration? Arguably, immigration is the only thing that has led the UK economy to outperform its EU peers. It's really curious how suddenly the establishment just looooves Theresa May. All those BBC/Guardian pieces slagging her off as an authoritarian incompetent (which she is) are all just water under the bridge. While occupying the home office she made one good angry speech to corrupt plods in the last 6 years which garnered nice headlines. But she didn't do anything about it. She has presided over a completely dysfunctional department. The UK border force has 3 cutters for our entire coastline. We do not have exit checks at our ports or airports despite repeated promises to do so. We do not monitor small general aviation airfields at all. She presided over the eBorders IT fiasco which has so far cost us over a billion quid. The backlog of failed asylum seekers gets ever bigger. The number of people refused entry has dropped massively under her watch. And she then opted in to 35 EU measures where we had carefully negotiated exemptions. Aside from being serially incompetent she has zero charisma and is a warm and welcoming as a frozen sepulchre. And there's your favourite. Yeah, May's had an easy ride but that's largely because of the meeja narrative having something else to concentrate on. I remember Charles Clarke getting sacked over absconded foreign criminals who weren't deported at the end of their sentences and May's done that loads. I guess there's an argument that the Home Office had endemic failures - I think John 'the hammer' Reid said it wasn't fit for purpose but....yeah, she's been very lucky. I dunno - I don't mind her and as long as she does do some Brexit work then she should be fine. What is a problem though is that there's been little mention of her having Type 1 diabetes which would ordinarily preclude people from certain jobs and having her as PM would need significant attention paid to her wellbeing. Andrea Leadsom seems to be the less tarnished candidate, and I like her style too. Forget the 'lack of experience', we'll all be challenging that statement when GB Inc really motors away from Brussels. Somehow, I see similarities between her and Margaret Thatcher, which I don't recognise in Mrs May, although she does always look pretty good. 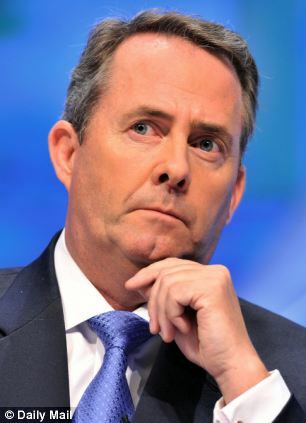 Liam Fox has just chucked his hat in the ring, so we'll have loads of diversionary tactics to watch over the next week or so! I was keen on May until she suggested that existing EU citizens resident in the UK may not be safe. Nobody can seriously be suggesting throwing out two million people from the country, so why not rule it out? It suggests the she is thinking of the negotiation in terms of a list of objectives and bargaining chips. If I get a vote (I may have sent a grumpy email to the Chairman's office office during the referendum), I may back Leadsom. As for experience, there is no experienced Tory who will not be volunteering advice..! Also, journalists have attacked Leadsom for flipping from being a remainer in 2013 to a leaver after the non-re-negotiation. I do not see that as a flaw. In 2013 we had high hopes that the EU may reform to something more open and democratic. Suddenly David Cameron doesn't look so bad. Is it too late for someone to beg him to change his mind and stay on as PM? Surely the best political move (if she was serious about leaving) would be to say. There will be no change to the status of all EU residents currently in the UK, unless the EU wants to change the rules. It removes doubt and brings stability ( something which is much needed), knocks the legs out from under the racist chant and also puts the ball firmly back in the EU half. If they want to play silly buggers at the negotiation then we can send them back and Blame the EU. Besides the vast majority of true EU nationals are in the UK to work (unlike the asylum seekers). The country really couldn't function as well without them. Our own chavs won't take a drop in living standards to do a cleaning job and our enlightened young aren't going to lower there expectations when they have a diploma in David Beckham studies. Seems the two "Rockstar*" politicians (Boris and Nigel) have gone missing with the job half-done. There is just that little hint that Boris was too easily persuaded to give up his life's ambition. Ditto Nigel. *Rockstar = someone who trashes the place and leaves others to pick up the mess. Based on the premise that a Leave vote is trashing the place. Next? The Labour trouble is because it's all orchestrated. The ostensible reason is that 37% of 2015 Labour voters went Leave, but so did 36% of SNP voters and there are no calls for Sturgeon to step down. Looks as if the Fabian Society and a globalist lefty PR outfit called Portland Communications may be behind it all. Are there really rich people who are such fools as to go to the Caribbean in the summer? Yes, surprisingly. The Carribean is not so bad, some of them go to Dubai!! The UK will be unable to kick out any EEA citizen who has automatically become a permanent resident, just like it cannot just kick out an American who has worked here for 5 years and been granted "indefinite leave to remain" which costs £1000+ unless they commit a serious crime leading to the revocation of this status. New arrivals who haven't stayed for 5 years can be kicked out at the whims of the Home Office.